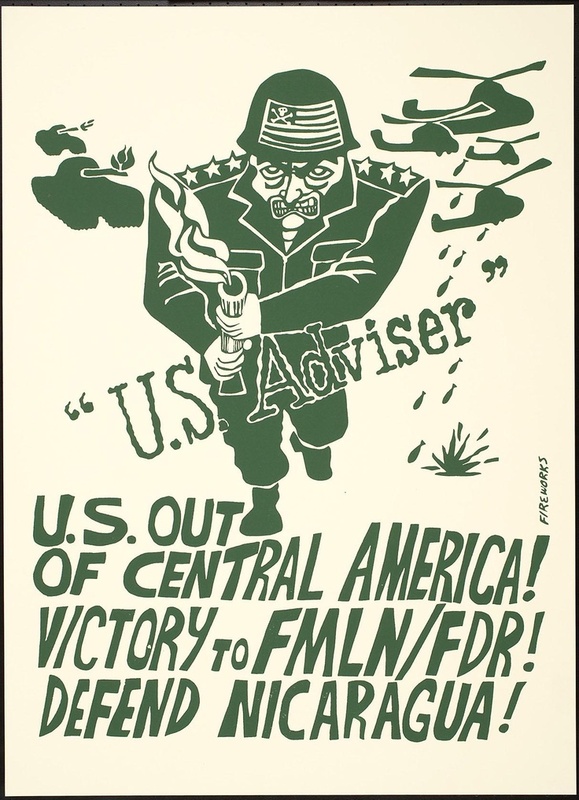 Over the past week we have posted some archival flyers that were used by Central American Solidarity activists in Grand Rapids, during the late 1980s and early 1990s. One flyer dealt with the connection between the Columbia legacy and the ongoing Guatemalan genocide, while the other flyer dealt with the 1989 US invasion of Panama. We have come across a third flyer from that same time period, a flyer which links US militarism in Central America with the housing crisis in the United States. When this flyer was created (1990) the United States was still deeply involved in supporting counter-insurgency wars in El Salvador and Guatemala, isolating the government of Nicaragua and militarily occupying Panama after the December 1989 invasion. The 1990 flyer is really divided into three sections. First, it provides a summary of US policy towards Central America at the top, with data on how many refugees there were as a result of the US wars in central America (on the left of the flyer), and a section that linked homelessness and military spending in El Salvador and the US. The flyer is important for several reasons. The obvious reason the flyer was important is that it provided some solid data on what the US wars in Central America looked like. 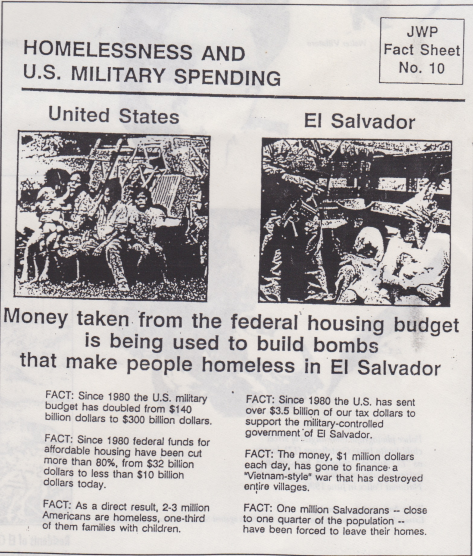 More importantly, the flyer provides important intersectional analysis, since it not only links the Central American refugee crisis to militarism, it makes the link between US militarism and immigration, and it shows how US funding priorities directed toward militarism were causing a housing crisis in El Salvador and in the US. 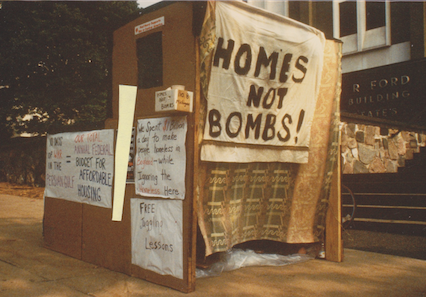 We have highlighted this intersectional work in Grand Rapids in a previous posting where the Homes Not Bombs Campaign had camped out in front of the federal building to draw attention to the link between US military spending and the growing housing crisis in the US just before the massive US build up to the Persian Gulf War. This entry was posted in Anti-War/Anti-Imperialism, Central American Solidarity Movement and tagged Grand Rapids Central American Solidarity Movement, Homes Not Bombs Campaign, US militarism and refugees, US military spending and homelessness, US wars in Central America. Bookmark the permalink.